In Sept. 2016 the government finally decided to cut its losses on the plutonium fueled fast-breeder reactor in Monju, Fukui Prefecture, pulling the plug on the project after years of mishaps, cover-ups and waste. Decommisioning becomes a new business. Monju (in Tsuruga, Fukui Prefecture) was seen as a pillar of Japan’s nuclear fuel recycling program because it is designed to burn plutonium retrieved from huge stockpiles of spent fuel produced at nuclear power plants. Moreover, fast-breeder reactors are supposed to produce more plutonium than they burn while generating power. But Monju has operated on only 250 days over more than two decades because of many accidents, including a sodium coolant leak at the reactor in December 1995. The sodium coolant used in fast-breeder reactors is highly flammable and very difficult to handle. So far, no country has developed a fast-breeder reactor for commercial purposes. On January 27, 2003 the Nagoya High Court's Kanazawa branch had handed down a historic ruling nullifying the government's 1983 permission for construction of Monju. The verdict recognized three main areas in which the Nuclear Safety Commission's (NSC) pre-construction safety review was inadequate. However, this court decision was later reversed. (5). 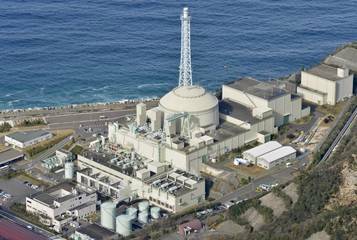 Finally, in September 2016 it was reported that the government decided to cut its losses on the ¥1 trillion Monju fast-breeder reactor, pulling the plug on the project after years of mishaps, cover-ups and waste. Monju dates back to the 1980s, when work began amid the realization of a need to reduce reliance on fossil fuel. Almost all oil, coal and gas burned in Japan is imported. Monju not only absorbed taxpayer money, but also suffered repeated accidents and mismanagement while only going live for a few months during its three-decade existence. The Monju reactor reached criticality for the first time in 1994 but was forced to shut down in 1995 after the leak of sodium coolant and a fire. There was an attempt at a cover-up. In November 2012, it emerged that the operator, Japan Atomic Energy Agency, had failed to check as many as 10,000 of Monju’s components, as safety rules require. The Nuclear Regulation Authority declared that the government-affiliated JAEA was “not qualified as an entity to safely operate” Monju. It told the government either to find an alternative operator or scrap the project. The government was unable to find new management. Meanwhile, decommissioning Monju after 2016 will revive international concerns over Japan’s massive plutonium stockpile, extracted from spent fuel at the nation’s dozens of conventional nuclear power plants. Project Details Tsuruga already hosted two conventional reactors and in 1983 preparations began for the construction of a new fast-breeder reactor called Monju. Monju functioned for less than a year since its completion in 1994. The fast-breeder reactor — a cornerstone of Japan’s atomic energy strategy dating back to the 1950s — would use spent nuclear fuel from other atomic plants and is designed to produce more fuel that it consumes. The reactor, named after the Buddhist deity of wisdom, has barely operated since it first generated electricity in 1995, the year it suffered a sodium leak that led to a fire and subsequent attempted cover-up. Safety problems have continued to plague the facility ever since. Decommissioning will be big business, Monju means abandoning a project that has devoured more than 1 trillion yen ($9.82 billion) of government funds. According to other sources  the government has already spent 1.2 trillion yen (US$12bn) on Monju. The government calculated that it would cost another 600 billion yen (US$6bn) to restart Monju and keep it operating for another 10 years. Decommissioning has a hefty price-tag. According to a 2012 estimate by the Japan Atomic Energy Agency, decommissioning Monju will cost an estimated 300 billion yen (US$3bn). - "Stop Monju" and Citizens Nuclear Information Center, in 2001 campaigning for a million petition signatures for the scrapping of Monju FBR. - 2010: December 8 is “Phase Out Nuclear Energy Day” in Japan. The “Phase Out Nuclear Energy Day” campaign, which now includes a wide range of people, is supporting campaigns around country December 8 is the anniversary of Monju's sodium leak and fire in 1995. - Citizens' Nuclear Information Center, Japan. “Japan has about 48 tons of plutonium stockpiled domestically and in Europe, and we need to be careful. The plutonium could be converted into nuclear weapons, and we need to make sure it’s not used for this purpose,” said Tetsuen Nakajima, abbot of Myotsu-ji, a Shingon Omuro temple in Wakasa Bay in Fukui Prefecture, and a long-time anti-nuclear activist. The rally, at Yoyogi Park in Tokyo’s Shibuya Ward, followed the government’s decision this week to unplug the reactor, which has hardly generated any electricity despite the more than 1 trillion yen ($9.9 billion) spent on it over two decades. Masaichi Miyashita, who heads the secretariat of an anti-nuclear group in Fukui Prefecture, told the rally that officials in Tsuruga in the prefecture, where the reactor is situated, are opposed to the government decision to decommission the reactor and want to keep it. Why? Explain briefly. Over two decades of technological failures. It was not the social opposition to nuclear power which won the day but rather the government that realized that Monju did not work, and that 10 billion dollars had already been uselessly spent. Citizens' Nuclear Information Center. Shinjuku-ku, Tokyo, 162-0065. (5)JAPAN'S SUPREME COURT SNUBS CITIZENS OVER MONJU. Nuclear Monitor Issue: #629. 10/06/2005. Attempts by Japanese citizens' to seek protection from the legal system were struck a cruel blow today when the Supreme Court overturned an earlier Nagoya High Court verdict, which had invalidated the license approval for the Monju fast breeder reactor in Tsuruga, Fukui Prefecture. 5 October 2016, Dr Jim Green (Renew Economy), national anti-nuclear campaigner with Friends of the Earth Australia and editor of the Nuclear Monitor newsletter published by the World Information Service on Energy. Japan: Protest against planned reopening of Monju. Nuclear Monitor Issue: #560. 21/12/2001. About 750 people took part in a rally on 8 December to commemorate the 1995 accident at Monju, Japan's prototype fast breeder reactor (FBR), at Tsuruga City, Fukiui Prefecture. The demonstrators further expressed their opposition to the planned restarting of Monju. Citizens' Nuclear Information Center (information on nuclear issues in Japan, including Monju). Other Comments Keiji Kobayashi, a former nuclear physics instructor and fast-breeder expert at Kyoto University Research Reactor Institute, is a longtime opponent of Monju. He says Japan might not be done entirely with fast-breeder reactors. “There are unanswered questions about what will happen to not only Monju but the fast-breeder reactor program in general.” .